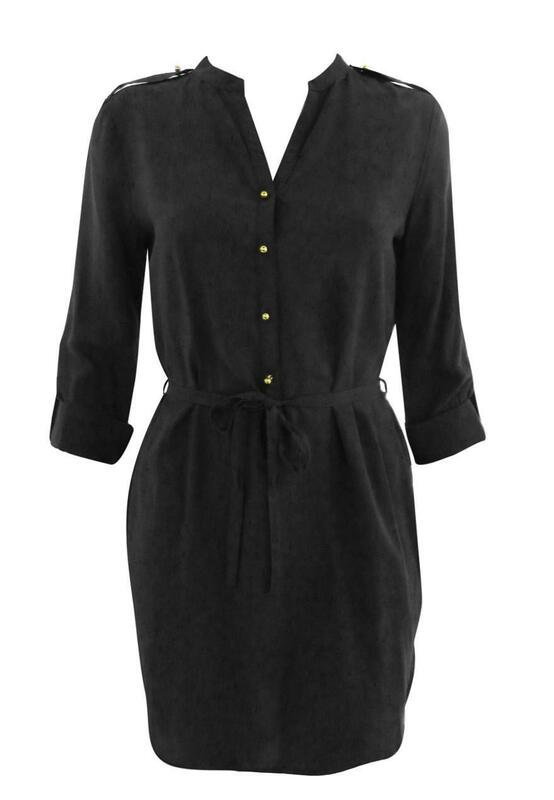 Get military chic in this great tailored shirt with gold detail rounded buttons, tailored 3/4 sleeves, button-tab cuffs and stand-up collar with belt loop detail. Great paired with some ankle boots and statement jewellery! 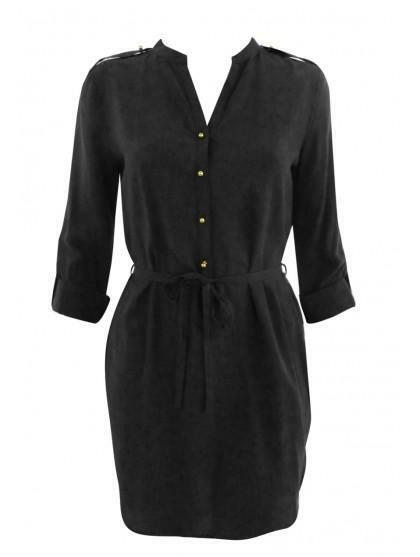 Peacocks has a great selection of womens shirt fashion dresses online.